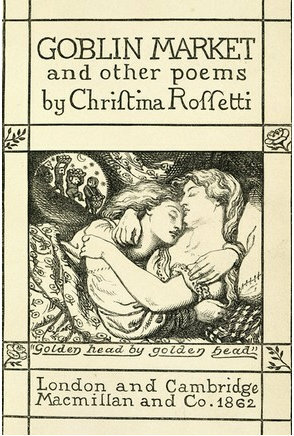 So here’s an 1859 series possibility: 21 essays on “Goblin Market,” a poem by Christina Rossetti. Christina Rossetti’s intense narrative poem “Goblin Market” is a recent discovery for me. I read it in preparation for my series on Christina Rossetti’s “In the Bleak Midwinter.” Much as I loved “Goblin Market,” it didn’t provide much grist for the “Midwinter” series which leaned more toward pleasant Nativity thoughts than images of evil goblin merchants and their seductive and juicy fruits. If “In the Bleak Midwinter” was appropriate for Christmas, “Goblin Market” might be a good choice for Halloween. In a cultural scene overcrowded with zombies and vampires, it might be nice to acknowledge the too-often-overlooked goblins. Over the next two days, I’ll be proposing some more 1856-60 ideas (with no promises that I’ll necessarily be getting to any of them…). But I’m wide open to other suggestions. Any ideas for 1856-60 books, short stories, poems, paintings, songs, or other cultural artifacts that might inspire a good 21 Essays series?